Pause Fest has delivered leading global events since 2007. The Melbourne conference is a source of inspiration for many in the digital and creative industries. For the 2017 event, we set out to co-design with the audience, speakers, staff and exhibitors - to make it an event to remember! The process to design Pause Fest 2017 was divided into two phases, Discovery and Design. The discovery phase focused on mapping out the current state with a four lens approach - community insight, user experience, global trends analysis and observational research. The second phase design focused on mapping, ideation, vision and planning. A key insight which emerged early in the research was the diversity of industries present at Pause Fest. The audience consisted of representatives from over 43 industries all seeking to be better informed about future trends. 80% of survey respondents from the 2015 event showed a strong connection to the conference themes of creativity, technology and entrepreneur. Showing we were on the right track to providing the right type of content. The majority of attendees were seeking knowledge, inspiration or were just pure curious while community and networking were also key drivers. Usability testing of the 2015 website revealed users found the website a little confusing. Users were keen to see a traditional schedule to be better informed before making their ticket purchasing decision. User testing also revealed two main pathways people were navigating to access the information required before arriving at the purchasing point. To explore how leading festivals and conferences were delivering great customer experiences. We benchmarked global and local festivals looking at the program of events, websites, schedules, duration and perceived value. A key insight at the time of the research was that ticket prices were higher in US and lower in Europe and Australia. We also discovered that there is growing global demand for knowledge in areas such as technology trends, social impact and design thinking. Locally there are new festivals popping up quite frequently which is something the team wanted to look into further. At a panel discussion on the Future of Festivals - hosted by Victoria University in partnership with Maribyrnong City Council - the expert panel of Creative and Artistic Directors spoke about the growing competition in this space. The insights from this event highlighted that there can never be too many festivals as each festival is designed with a unique purpose and vision. There are many benefits the festivals provide to the community such as social inclusion, wellbeing, personal connections, cultural experiences and shared knowledge. As the panel discussed, festivals are not about generating revenue - they are about creating employment and supporting the community by promoting positive social change and connecting people within their communities. Lastly we immersed ourselves into the 2016 Pause Fest experience. Through observations of the space and speaking with the audience, staff, speakers and exhibitors we were able to note the pain and delight points as people moved through the environment. By speaking with the audience we were able to empathise with how people were feeling, what their experiences were, and what they would like to see change. The biggest pain points were the extended periods of time seated which was uncomfortable, the limited number of breaks during the day and the need for spaces to work and connect. The conference wasn’t allowing enough time to Pause! The moments which the audience reported as a highlight of the conference was the conversations with experts and inspirational content from the variety speakers. To begin mapping out the ideal experience for Pause Fest 2017 we needed to understand who it was that we were designing for. We synthesised the insights from phase one into four personas and developed ideal journey maps. Mapping the ideal journeys highlighted the key opportunities for creating the 2017 Pause Fest Experience. Having identified the key opportunities we had a good understanding of what could be improved and removed. However we needed to think about what could be created. Co-designing with the team we took the key opportunities and went through an ideation process generating a wealth of ideas on what the new Pause experiences could look like. The ideas were then prioritised based on what was achievable, what would add the most value for the Pause Fest community and there alignment to the overall vision. To develop the vision we spoke to people who knew Pause Fest best, the Pause Fest Board. The board were engaged for a workshop to talk through the insights, ideas and discuss what Pause Fest meant to them. Each board member shared their experiences reflecting on the many years of successful events. We synthesised these insights into a single vision for the 2017 Pause Fest Experience. At its core Pause is about connecting, learning and reflecting. Putting humans at the heart of the festival, inspiring through high quality content and to Pause an reflect on what could be. There is an extensive amount of work which goes on behind the scenes to deliver the festival. Which the Pause Fest team work through with a passion and drive which can not be faulted. The process to design the experience guides this planning and ensures that what is delivered is the best it can be when the audience, staff, speakers and exhibitors arrive to experience it. The conference days are the most critical to get right and the changes we were looking to implement we were focused on how people would flow through out the spaces and be able to maximise networking opportunities. We broke the program into three sections. The now, the near future and the further future across each day of the conference. Allowing for breaks to move throughout each of the stages. Each session was assessed to aligned with this segmentation. Some of the changes which were implemented into the 2017 event were to support creating networking opportunities through human connections. Pause Ambassadors roamed the event to make every connection personalised. The schedule was crafted to deliver content which is relevant to now, the near future and the further future. The local and international speakers were set to inspire through case studies, trends and experiential learning. Co-working spaces and charging stations were provided to allow space and time to reflect on the inspirational content and how this new knowledge can be applied to projects and daily activities. And the schedule was created to maximise time to connect, learn and Pause for reflection. For those of you who attended I hope you had a magical experience and we will continue to listen to all your feedback for Pause Fest iterations. Telstra has a network of stores varied in size, demographic and operating models. The teams purpose was to design a retail format which engages and delights every Australian to enjoy a brilliant connected future. Starting with the Sydney Discovery store the team looked at ways to revolutionise the retail space utilising interactive technologies, creative visual spaces, personalised service and sensory merchandising. The team worked in an agile environment and delivered an inspiring world-class retail store designed with seamless customer experiences. As the Visual Merchandising Lead for this project I aimed to created an in store experience which was welcoming, engaging and educational. I researched ways in which this could be achieved looking at industry trends, customer insights and observational analysis. I then put the strategic ideas to the test in live retail environments and synthesised the learnings. The iterations were developed and the final result was the Telstra Sydney Discovery Store. What does a future retail environment look like? The team had lots of ideas about the amazing experiences which could be created for our customers. However these ideas needed to be validated and evolve into potential solutions. To ensure the customer was front of mind the team headed out to the stores. Observing and talking to our customers with everyday queries and concerns. Countless conversations and synthesis of internal data later the team was able to outline who we were designing for and what their needs were. Telstra has created many ways in which a customer can engage with the brand. Its about allowing the customer the opportunity to connect how and where they want. So we set about understanding how these touch points would integrate with the future retail environment and how the customer would feel on this journey. For a customer, their first engagement with the store needed to build comfort and familiarity with the brand. Once this orientation has occurred we wanted to satisfy those customers looking to browse, and instantly orientate those who knew what they wanted. We wanted customers to find what they wanted and be inspired by what they found while building an emotional connection with the brand. The framework allowed the team to start developing the details for the digital visual merchandising strategy. Looking at the communication sequence, visual language, tone of voice, colour application, product layouts and the kit of parts. We had defined who we were designing for and what we wanted to created, but we needed to understand if it was going to work. We had two test environments where we were running controlled usability tests, a live store environment and a closed lab where the latest in technology was being developed. The store opened in October 2015 and changed the way customers engaged with Telstra. It is a Brilliantly Connected space designed for all customers to enjoy and experience. The stores design was built to encourage a natural traffic flow as customers moved through the space. Customers would identify the brand, be welcomed into the space, be able to orientate themselves and engage how and where they liked. While the desired outcome was achieved there were improvements in which were made. Utilising the interaction data, heating mapping and conducting contextual inquiries I learnt that there was heavy traffic in the service areas and the entrance ways. The interactions with the digital experiences was frequent yet quick, and some customers were not exploring without intent. These key learnings were monitored and changes were made. More service points were built, digital content was updated and visual merchandising displays were refreshed. The retail space is one in which will require continued iteration as customers needs and expectations evolve. Do It On The Roof (DIOR) is a business that designs and creates rooftop and green wall spaces. DIOR had created a survey which customers could fill in online, this helped compile a brief for internal design professionals to evaluate potential customers and their needs. The team were asked to design a premium service customers were willing to pay for, and would recommend to others. To deliver the best solution, our approach was to better understand the DIOR business goals and objectives. Working with the internal team we facilitated a workshop to identify what the internal pain points were, and what DIOR wanted their customers to think about their experience with the brand. This knowledge allowed the team to define the areas of opportunity which would impact operational efficiencies, brand awareness and customer satisfaction. However to be able to craft a solution we needed to speak to the customers directly. There were many facets to the projects research. 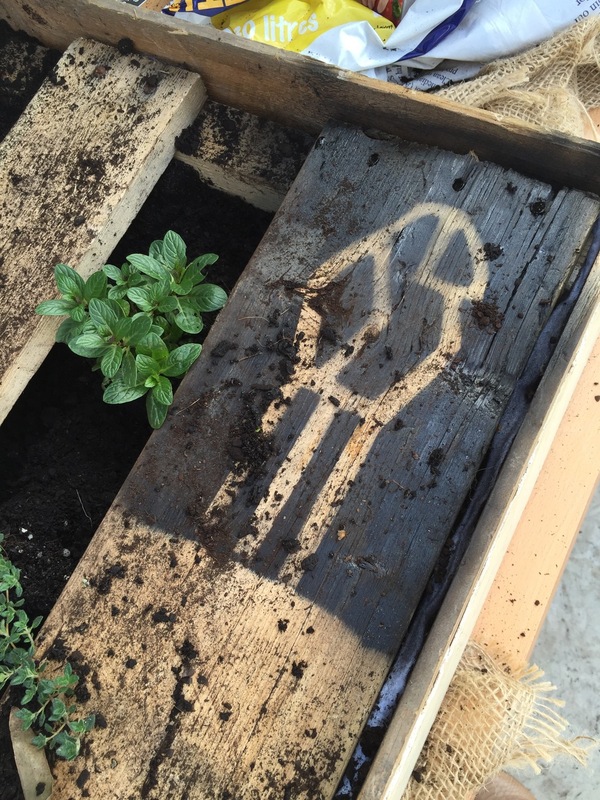 Customer research and observations were conducted at a public event in which DIOR were delivering a hands on educational seminar on planting a pallet garden. The learnings from the event provided insights into customer inquiries, levels of ability, knowledge gaps and demographics. Competitive Analysis was conducted across direct and non direct competitors into how others in the industry were engaging with potential customers as well as market analysis into product offerings and the perceived value each competitor was offering. To understand how long customers are willing to spend filling out a survey we explored qualitative data provided by specialised companies like Survey Monkey. This identified benchmarks for length of time to complete, quality of data and positioning of the survey. Google analytics provided insights into the effectiveness of the website, the bounce rates, application preferences, effectiveness of call to actions and where search engine optimisation could enhance the customers ability to engage. The survey tool in which DIOR had created to identify customer needs consists of 38 questions spread over a four page process. We needed to test this with customers to gain an understanding of their level of willingness and ability to complete it. The user testing was conducted with eight participants. The results showed this to be a negative customer experience and potentially preventing customers from wanting to engage any further. To create the best customer experience the team underwent a process to identify the current path to purchase which we used to better understand the customer journey. The team were able to established the customer emotions at each touch point of the journey based on the user testing and where the path the purchase could be simplified. Understanding who you are designing for provides you with a reference point for the project duration, customer personas are the foundation tool for creating the right solutions. Based on the research in the initial stages of the project the team were able to quantify four personas and build out a series of scenarios and tasks for each persona. Further facilitated workshops with the client, and utilising techniques such as Lego Series Play assisted in building the Customer Experience Strategy. The team were now ready to start building the solution. For this project the way in which we found to be most effective for initial testing, was paper prototypes. Quick sketching, individually and in groups quickly formed a collaborative view of potential solutions. We then took the prototype to the streets to perform a series of gorilla tests. The results were synthesised and design iterations were developed into low fidelity wireframes. For the final test we built a Clickable prototype using Invision and recruited participants for the usability testing. The team identified eight potential customers representing the customer personas across multiple occupations, ages, knowledge levels, computer literacy and budgets. The findings of the usability tests showed promising results with heightened customer engagement and time to complete reduced by 8 minutes!! The solution depends on what you are trying to create, however it is always important to get to know your customer first. There are an infinite numbers of ideas, but the ideas in which add value to your customers lives are the ones which will stick. Exploring industry trends, competitive analysis, market position, product/feature analysis, qualitative or quantitative heuristic analysis will also give you a great snap shot of what is happening across multiple industries. It is good to understand the big picture before jumping into solution mode. In my experience ideation works best in a collaborative environment. Treat every idea as valid and hopefully this creates a springboard of exciting thoughts for the team to work with. To facilitate discussions I have used techniques which allow the team to be creative and hands on. Armed with ideas and knowledge, there are multiple approaches on how to progress. So whether you are solving your customer experience for a physical space, digital application or both I use methods like creating customer scenarios, task flows, research based personas, journey maps, site maps, wireframes and user flows to develop the details of experience further. Before investing more time and energy into something that may or may not work it makes sense to test it. Paper prototypes, low fidelity prototypes, cardboard cut outs and test lab environments can be great for a usability test. Creating a prototype is key to understanding if you are going to deliver the right experience for your customer. It is important to create usability tests and recruit customers who are appropriate for the ideas intent. Card sorting, path tests, task completion, talk alouds, eye tracking, participatory design and accessibility testing are just a few ways to be able to gain the required feedback. For all projects I have been involved in, communication can make or break being able to implement the idea. So prepare your research and document your findings. You should have been communicating your results at each stage of the process so there should be no surprises. Just excitement in the air.